BEAUMONT, Alta. 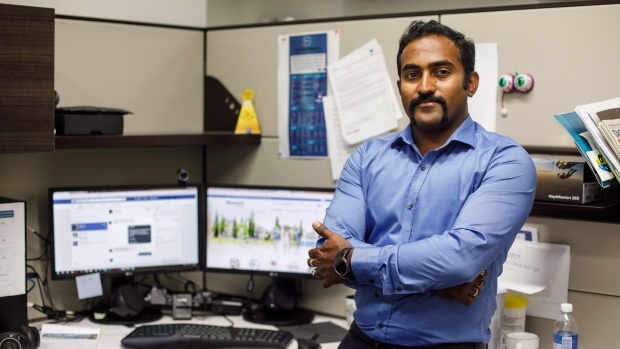 -- Shiva Kumar Shunmugam was wrapping up a lazy summer afternoon tending to social media feeds for the Alberta town of Beaumont when a strange request came into the fire hall's Facebook page. "Terrell houses are flooding need help," it said. 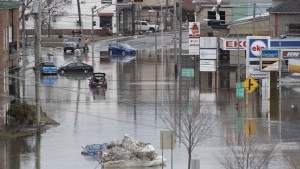 Beaumont, Alta., a town of about 18,000 just south of Edmonton, doesn't have a Terrell neighbourhood and the area hadn't seen a drop of rain in almost a week. A woman near Dallas was seeking a rescue for her daughter's family of four who had floodwater rushing into their Beaumont home. "Without wasting time I got in touch with emergency services in Beaumont, Texas, and they directed me to the Beaumont fire department in Texas," he said in a interview Wednesday. "Since they didn't have much information, they were relying on me to provide the correct address." Shunmugam was able to link up with the daughter and relay the details, but the rescue was slow in coming. As the day stretched into evening, Shunmugam stayed in touch with the daughter. She told him there were snakes and spiders seeking refuge from the water in her backyard. He passed along some helpful survival tips, such as turning off her phone's data to preserve battery life. As evening stretched into night, she told Shunmugam her family was going to try to drive out of the neighbourhood. Shunmugam got in touch with the authorities in Texas who advised against that, so the family pulled over in a parking lot and waited. From there, the two lost touch. "Trust me, I didn't have sleep all night thinking about and praying about her and the other people who are going through a similar situation," Shunmugam said. As night stretched into morning, he finally heard back from the woman's mother. The family was safe at an emergency shelter. "She thanked me for that and she's at Beaumont Civic Center right now," he said. "I think it is a good way to see that kindness exists and we should live by that code of loving thy neighbour and helping them. "I live and do that every day and it's what your everyday Canadian would do."